A complete step by step tutorial on What is a Model in ASP.NET MVC. Hello friends, I hope you all are doing great. Today, I am going to share the second tutorial in ASP.NET MVC series and I will explain the concept of Model in ASP.NET MVC. In our previous tutorial, we have seen How to Setup Your First Project in ASP.NET MVC. What is a Model in ASP.NET MVC ? Model connects our web application with our SQL Database, it takes commands from the Controller and then get or set values in the Database and finally updates the View. We can say that Model is acting as a middle man between Controller, View & SQL Databases. If you are not understanding the Controller or View, that’s no problem. We will cover them in next chapters, for now just focus on functioning of Model. 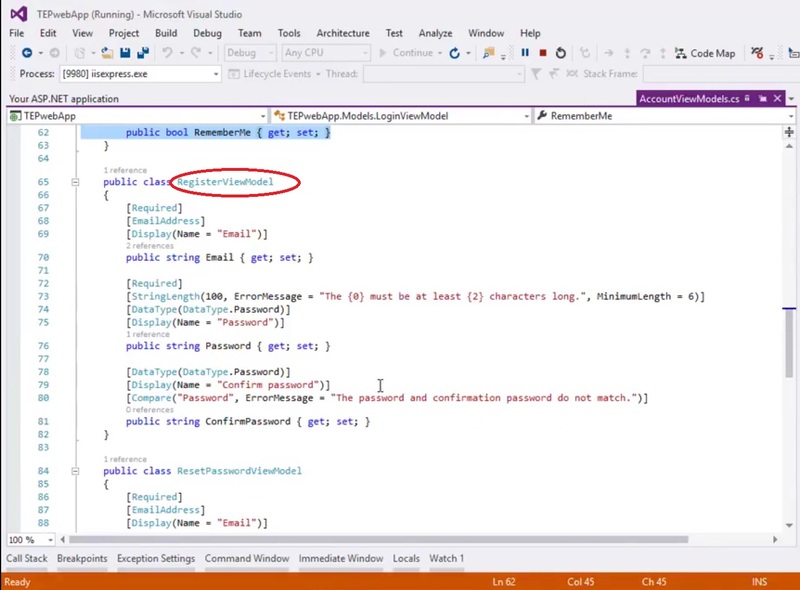 You can see in above figure that Microsoft visual studio has auto created 3 Model files in our ASP web project. Now you can see in above figure that our model file has some classes in it. If you check the whole file then you will find more than 5 classes in it. Each of these class is actually representing a unique model, all of these classes have certain rules attached to them. Now let’s understand the working of our web app. The App goes to Controller. Model gets or sets values into SQL Database & then return value to Controller. Controller returns value to View. The parameters assigned to these variables are get and set, and these variables will either Get value from the SQL Database or Set new value to it. So in simple words, the model is dealing with data in or out, it receives commands/data from controller and according to the rules set in each model, the data will be either stored in the SQL database or fetched from it. Model tells us, what kind of information is required and what kind of information is placed in the SQL Databases. The major code of MVC Framework is written in the Model section, because here we have to write all our rules and permissions to interact with the SQL databases. 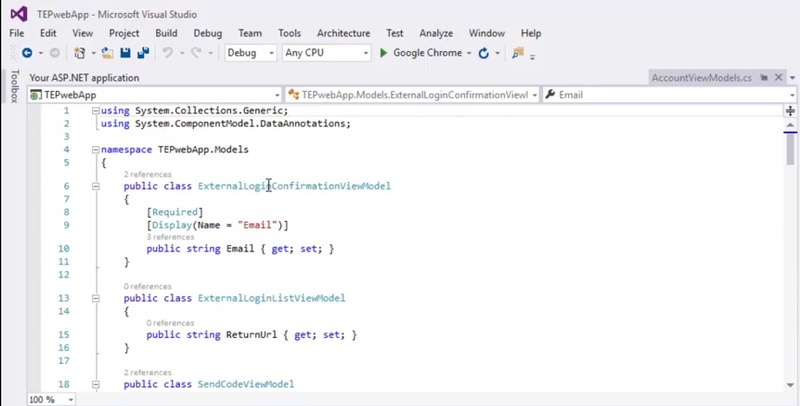 So, that was all about today’s tutorial on Model in ASP.NET MVC. I hope you have got the idea. 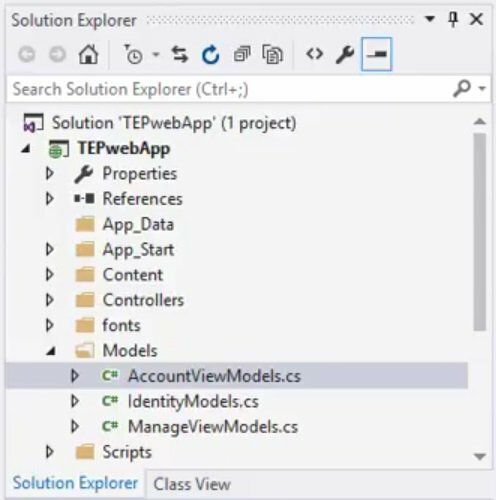 In the next tutorial, we will have a look at What is View in ASP.NET MVC. Take care !! !